Welcome to Nick's License PL8S Page! Hello! My name is Nick, and I specialize in collecting SAMPLE license plates from the United States of America and Canada, as well as plates from the territories of the U.S.A. such as Puerto Rico, Guam and U.S. Virgin Islands. I also enjoy collecting Hawaiian, Olympics, nature and wildlife themed license plates. 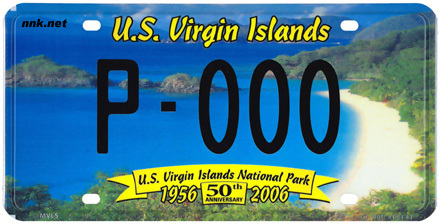 My other area of interest is in collecting and researching the history of license plates of Japan and Okinawa. I discovered the Automobile License Plate Collectors Association (ALPCA) in August of 1996, and immediately joined the association. Since then, my collection has grown to over 3,000 plates. When you have a moment, please check out my WANT LIST and/or my TRADE LIST and if you like, you can also browse through my PL8S Showcase or my auctions on the net.